STHLMNYC is an innitiative by the architectects Linda Schuur and Sander Schuur. 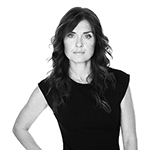 Linda is a senior architect specialized in sustainable, social and high-end architectural projects. Linda was the project leader for The Forests of Venice, an exhibition and pavilion showcasing Swedish architecture at La Biennale Architettura 2016, in Venice, Italy. She has graduated from Chalmers University of Technology in Gothenburg and has worked for leading firms in Gothenburg, New York and Stockholm. At C.F.Moller Linda works on a wide variety of architectural projects, sustainable urban planning and business development. She is leading innovative projects and involved in international strategies for the office, as head of business development. Linda has published various articles, has been part in the Swedish architectural debate and currently writes a column on the built architecture, design and challenges within our complex urban development for “Fastighetsnytt”. Sander is a senior architect and urban designer with experience working in international projects. 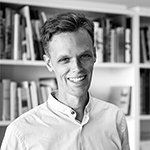 Before joining White Arkitekter in 2010 Sander has been working at international and prestigious firms in Rotterdam, Amsterdam and New York. Sander graduated in 2005 at the Technical University in Delft. Sander has taken a lead role in a in a variety of award winning, international projects, such as the winning entry to the prestigious competition in New York for a resilient coastal community in the Rockaways. 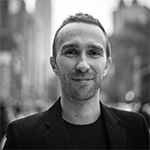 At White Arkitekter Sander is the Director of Business Development North America and leading international projects. Beside his role at White, Sander has been teaching at the Royal Institute of Technology in Stockholm and is a visiting critic. Christer Larsson is the City Planning Director in Malmö, Sweden, since 2000. Previously he served as City architect and has run his own architectural office. He has been in Malmö City’s Commission for Socially Sustainable Malmö and was special investigator for Sweden’s government to formulate a new national policy for architecture, form and design (2014-2015). 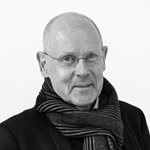 Christer Larsson is adjunct Professor of Architecture at Lund University, Chairman of the Nordic City Network, Member of the Royal Swedish Academy of Engineering Sciences (IVA), the Division for Building and Construction, and board member of the International Urban Development Association (INTA). David van der Leer, Executive Director of Van Alen Institute, develops projects that explore the nuanced relationship between the built environment and the human being. Under his leadership, Van Alen focuses on the ways our minds and bodies are impacted by the cities we live in, and how we in turn impact the environment. Since arriving at the Institute in 2013, David has created a period of strategic growth with a new programming hub in the Flatiron district, and new models for connections between the Institute’s interdisciplinary design competitions, research, and public programs. In close collaboration with a vibrant new team and board, David is working to bring Van Alen’s work to places around the U.S. and beyond.